Famille des systèmes Surface-Air Futurs – Famiglia dei sistemi Superficie-Aria Futuri. On the 26th October 1988, French and Italian Defence Ministers signed the Memorandum of Understanding of a bilateral cooperation for the development of a surface to air anti missile system family – FSAF. Phase 1 (Feasibility) of the programme is now complete. Phase 2 (Development) is nearing completion. Phase 3 (Production, firing section deliveries to the customer) continues and Phase 4 (In service support) is ongoing in accordance with the 2012 awarded contract. Principal Anti Air Missile Systems are new weapon systems based on common elements developed in the frame of the FSAF programme. The weapon system capability provides agile, rapid reaction “self defence", "local and "naval area" defence Maritime capabilities for: the FR/IT Horizon frigate and the UK Type 45 destroyer. OCCAR manages the munition procurement programme for the Land and Maritime systems on behalf of the Participating States to achieve greater, cost effective economies of scale. 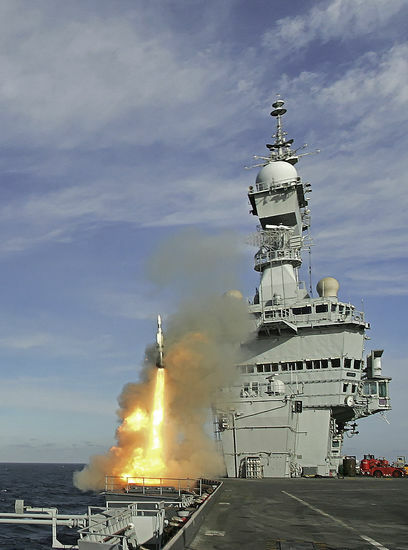 The French Navy variant of the SAAM system, the SAAM-FR, has been installed on board the French Aircraft Carrier "Charles de Gaulle" to ensure its self-defence. SAAM-FR is based on the Aster 15N (N for Navalised). The Fire Control System is based on the Arabel X Band Multifunctional Radar and is in communication with the Combat Management System of the Carrier (Senit VIII System). The Arabel Radar is at the top of dedicated mast and a Sylver launcher has been installed in a place specially prepared for it. 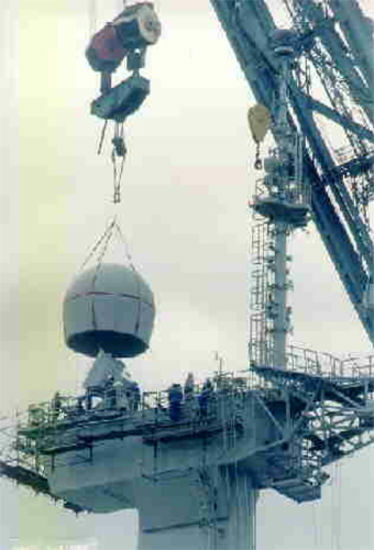 The installation of the first of class SAAM-FR system on board of the Charles de Gaulle was carried out in 1999. Aster is a two-stage missile composed of the body of the missile itself and a booster. The difference between Aster 15 and 30 is only a difference of the booster. 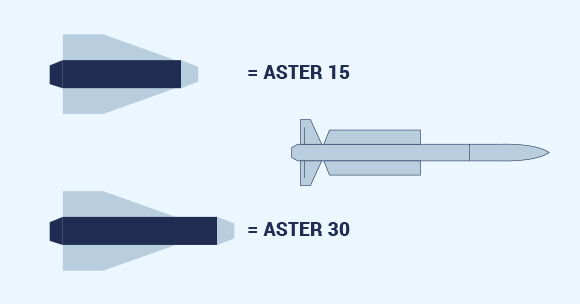 For the Aster 30, the booster provides a longer impulse giving the missile the possibility to reach targets at longer ranges. Aster 30 is used for local area defence interceptions when Aster 15 is used for self defence interceptions. 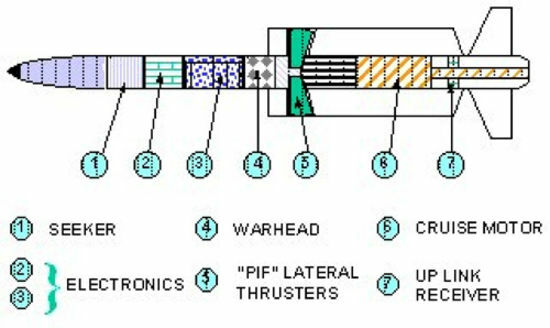 As detailed in the figure beside, the Aster terminal dart integrates an active seeker, a cruise motor, an up link transmitter to receive the position of the target before the seeker can detect it and a warhead. But the most important aspect of Aster is the "PIF" (pilotage en force) system. Aster is the only missile in the world to use such a system that provides very high interception performances even against high manoeuvrable targets, such as sea skimmer missiles. The PIF system is composed of four lateral thrusters that, on request, creates a lateral force in any direction that allows Aster to get closer to its target without high acceleration manoeuvres and decreases the reaction time necessary. Another characteristic of this missile is its vertical launch. 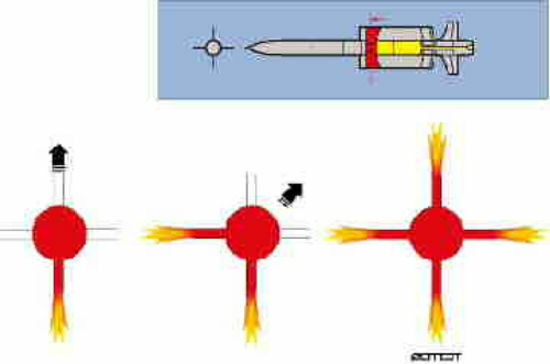 When firing, after it exits the Sylver vertical system, the fire control radar, Arabel or Empar, provides Aster with data to allow it to calculate its trajectory toward the target, and changes direction by commanding booster exhausts positions. Then after the booster has given enough impulse to the terminal dart, the booster is separated and of the cruise propeller of the terminal dart is initiated. Finally, when Aster has sufficiently approached the target being guided by the system radar, it switches on its seeker that provides an active seeking terminal guidance toward the target that Aster reaches with extremely high precision using its PIF system. When FSAF co-operation started in 1989, ARABEL was chosen to be the fire control radar for both SAAM-FR and SAMP-T system. 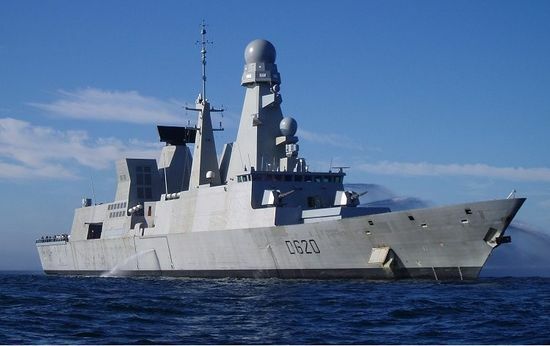 The naval variant has been first installed on board the French Navy Ship "Ile d'Oléron". A second radar was also installed on board French Aircraft Carrier "Charles de Gaulle". 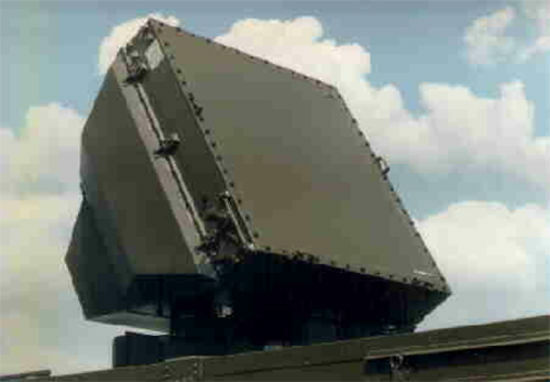 The terrestrial variant of ARABEL has been integrated in the Fire control system of SAMP-T.
Arabel is a multifunctional radar operating in X Band. It has a high performance 2D Electronic Scan Antenna and assume detection and tracking of targets . It is also responsible, when a missile is fired, for transmitting via the Up-Link transmitter, messages to the missile to renew missile data in order to allow Aster to calculate a trajectory toward the designated target and before Aster can detect it and lock on it with its own seeker. The FSAF Vertical launch system, called SYLVER -SYstème de Lancement VERtical-, contains eight Aster missiles . Two variants have been created, one for naval FSAF systems SAAM-IT and SAAM-FR and another one for terrestrial system SAMP-T. When the Aster 30 missile was designed, SYLVER was adapted to be able to launch this new missile variant and is part of the SAMP-T and the PAAMS systems. It is composed of eight cylinders that are filled with Aster canisters containing the missiles itself. At its top, eight traps are automatically opened one by one when a missile is fired. At its bottom, a gaz exaust system expulses toxic gas comming from missile booster at its launch. 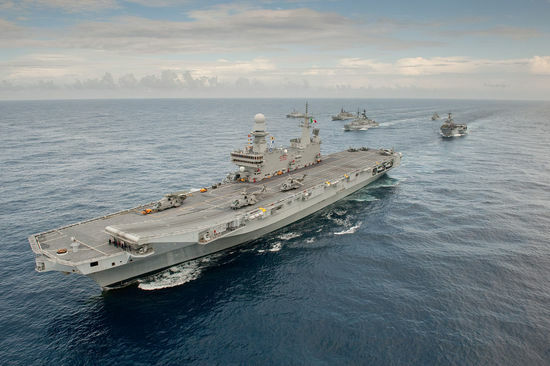 The Italian Navy has chosen the FSAF System to ensure the self defence of the Italian Navy aircraft carrier "Cavour" in the similar way as France has done with the Charles de Gaulle carrier. Like the other FSAF systems, SAAM-IT is based on Aster 15N (N for Navalised) missile, but integrates a new radar, EMPAR, designed and built by Alenia Marconi Systems (now Selex). A replica SAAM IT system is installed at the Italian Naval Training Centre (Maricentadd) since 2003 and provides a reference for testing and qualification purposes. Today, SAAM-IT phase 1, has been installed on board the Italian Navy trial ship "Carabiniere" based at La Spezia Naval Station. EMPAR antenna has been mounted at the top of a mast placed at the rear of the ship. Vertical launcher-Sylver- installation has been successfully carried out at La Spezia. The first qualification firings will take place at CEM French Mediteranean test range. Another Fire Control System EMPAR-FSAF is under going trials at the Constructor Site of Pratica di Mare, at 50 km south of Rome. This site will be used for retrofitting the SAAM-IT FCS from phase 1 to phase 2 standard. The upgrade consists in integrating new ECCM capabilities, a more powerful calculator in EMPAR , an evolution of AGIS (Command and Control system of SAAM-IT). Chosen by the French Air force and Italian Armies, SAMP-T provides a local defence capability protecting important tactical areas. 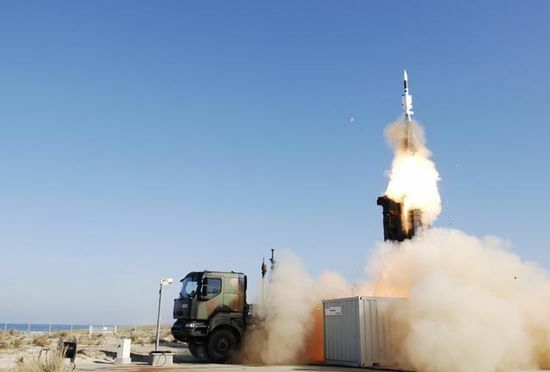 It is composed of a series of launcher modules installed on board mobile platforms that operates centrally and comprises of an Arabel radar to ensure detection, tracking of targets and initial guidance of Aster Missiles. SAMP/T is the first system to use the Aster 30T (T for Terrestrial) missile for the medium range interception. In the future, the PAAMS system will also use a navalised Aster 30, called Aster 30N to carry out its mission of local defence area. 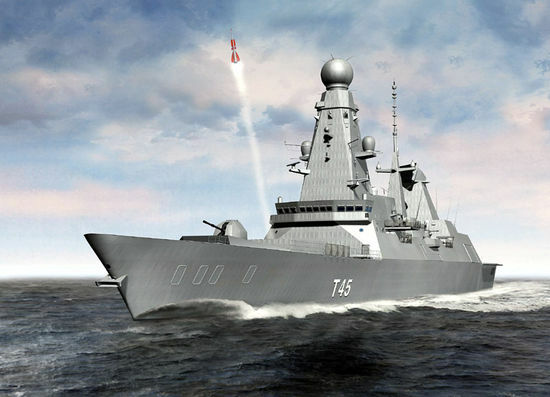 The Principal Anti-Air Missile System (PAAMS) will equip the new Type 45 Destroyer in its prime role of Anti-Air Warfare (AAW): protecting UK national and allied/coalition forces against enemy aircraft and missiles. The PAAMS air defence missiles are the size of a public phone box, weigh two thirds as much as a small car and from launch accelerate to a speed twice that of Concorde in under 10 seconds. The missiles' flight manoeuvres as it locks onto a target are so severe they are 10 times more severe than a human could withstand. The system is designed to deal with multiple attacks by anti-ship missiles. PAAMS defeats all forms of threat from sea skimming anti-ship missiles, cruise missiles, diving anti-radar missiles and fighter aircraft, to saturating and omni-directional attacks in an electronic warfare environment. The new FSAF/PAAMS In-Service Support Contract was signed with the prime contractor (Eurosam) on 22 December 2017. The OCCAR Director, Arturo Alfonso Meiriño and Gerben Edelijn, CEO of Thales Netherlands, have signed today, 2nd November, in Bonn, the Long Range Radar In Service Support contract for the FSAF PAAMS Programme. In the frame of the Sustainment & Enhancement (S&E) Phase of the FSAF-PAAMS Programme, OCCAR Director Tim Rowntree signed Amendment 1 to the S&E Contract on the 20th December 2016. 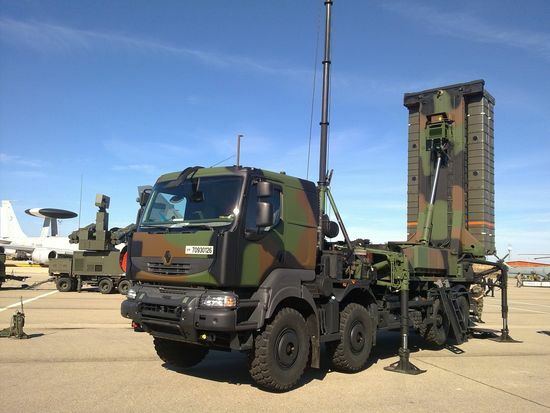 On 25 February 2016, the OCCAR-EA FSAF–PAAMS Programme Division accepted delivery of the final French “SAMP/T” system and subsequently transferred it to the French Air Force Ground Based Air Defense General Support squadron 2E.950, located on Avord Air Base, center of France. On 15 December 2015, the OCCAR-EA FSAF-PAAMS Programme Manager signed a contract with Selex ES S.p.A. as Design Authority, for the upgrade of Identification Friend or Foe (IFF) equipments installed in the Italian SAMP/T firing Sections. For further information about the FSAF PAAMS Programme, please contact the Programme Division or the Prime Contractor.